The Tacoma Toprac is a modular, adjustable, and completely bolt together roof rack for fiberglass toppers such as Leer, A.R.E, and Snugtop that are equipped with Thule/Yakima tracks. Options are available to bolt racks directly to the topper but are not the preferred method. Models are available for both the short and long bed Tacoma models. 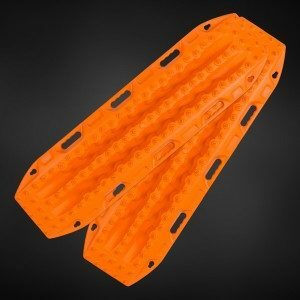 The rack consists of 2 laser cut side rails constructed of 3/16″ 5052 aluminum plate. These rails have 3-4 mounting tabs each that will allow you to bolt the rack to the Thule/Yakima tracks using the appropriate hardware. This design allows the addition of this roof rack without drilling or modification to your vehicle. The crossbars are made from a 2″ x 1″ aluminum extrusion that has a single top facing T-SLOT channel. This offers numerous solutions for tie-down options, cargo security, and the addition of accessories such as tool mounts or lighting. All product will come in black. All assembly hardware is included. The rack is completely modular in that you choose how your rack is configured. You can also choose the number of crossbars you assemble your rack with. The short bed rack comes standard with 6 cross bars for cargo. 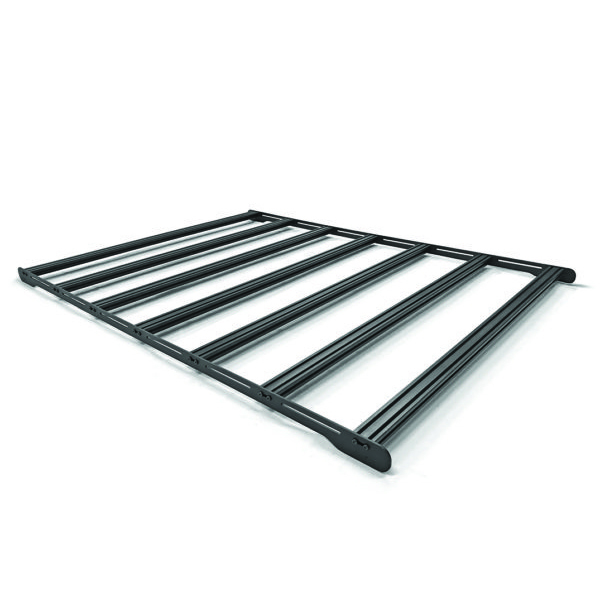 The long bed rack comes standard with 7 cross bars. Weight capacity of the racks varies based on the number of crossbars used and their configuration. We expect all consumers to use good judgment and common sense with the loads they plan to carry using these rack systems. The Toprac is limited by the weight capacity of the topper. Please consult the manufacturer of your topper for guidelines and capacities regarding the load capacity of your individual topper.